You are here: Home » Forums » Mediterranean diet » Mediterranean diet book recommendations? Does anyone have any recommendations for good books about the Mediterranean diet? I was hoping Dr Mosley had written one, but it doesn’t seem so (as yet anyway)…. 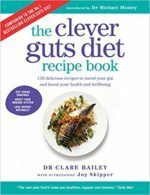 New out this month so I don’t own this book as yet … Thus only a suggestion not a full blown recommendation: ‘Wild Mediterranean’ by nutritionist Stella Metsovas might be a good fit with the ‘Clever Guts Diet’. Please post your thoughts if you buy it, and I will do likewise. HTH! I’d certainly consider the book by Dr. Barry Sears. If you should like to e-mail,I might be able to help you more easily. Lee: your query prompted me to dust off a few recipe books, and order a couple more! ‘Eivissa The Ibiza Cookbook’ (written by Anne Sijmonsbergen) is a good match. Plenty of vegetables, fish and seafood, beans and lentils, some potato. Olive oil of course, and her cornerstone flavours: sea salt, black pepper, lemon and vinegar. Thanks for the replies – I didn’t get a notification until just now… ?? I’ll check out the recommendations, I remember enjoying Barry Sears ‘Zone’ diet book many years ago…..
Claudia Roden has written various books about Mediterranean cuisine, none of her recipes have ever let me down.